If you build it, they will come. 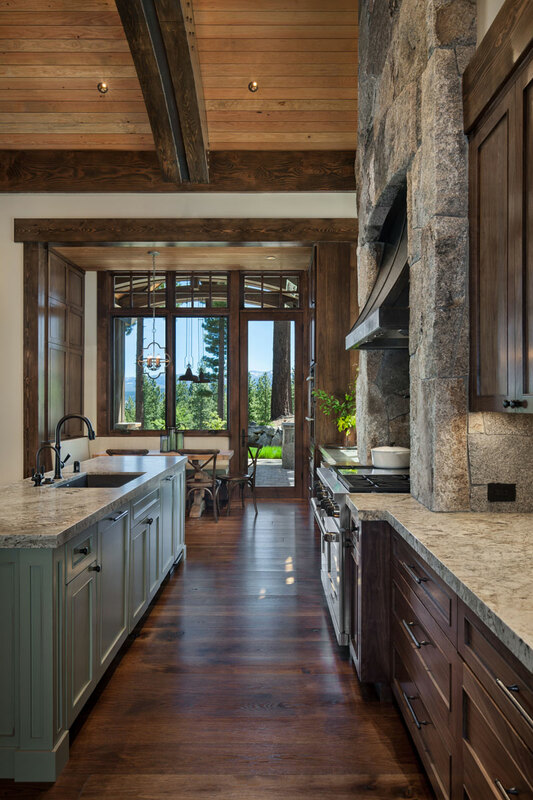 That was the motto that motivated Jay and Judy Welker to create a welcoming timber frame retreat in Northern California’s coveted Martis Camp. 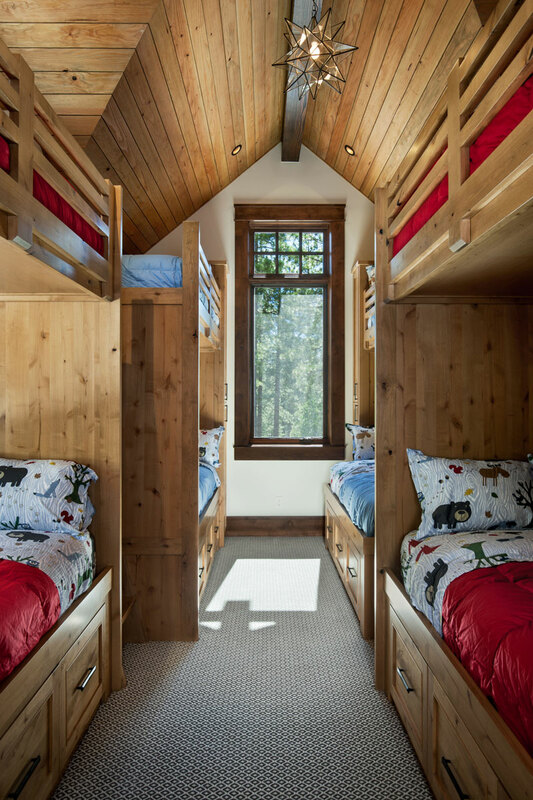 The couple envisioned a place that would draw their growing family together in the same way a nearby smaller home, long since outgrown, had for the past two decades. But their idea of bringing people together went beyond the usual script of family and friends. Bringing so many people together comfortably under one roof required a generously-sized floor plan. 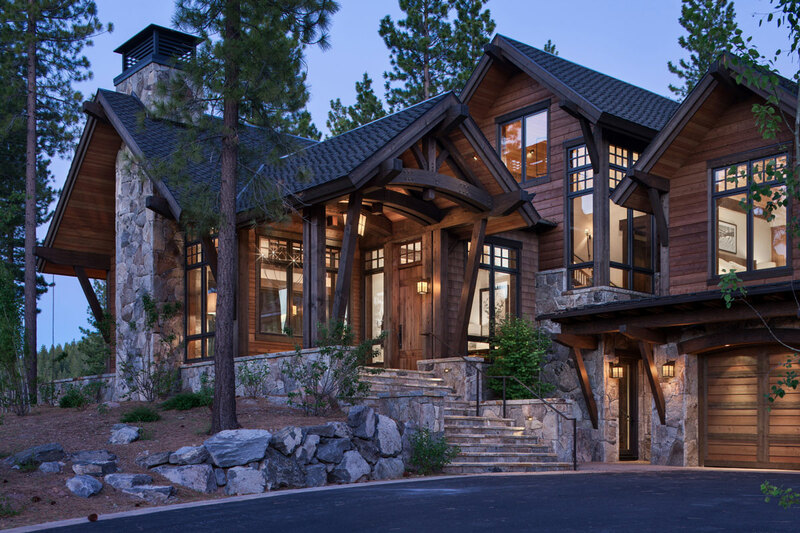 The 5,900-square-foot home, which includes multiple gathering spaces and six en suite bedrooms, plays perfectly to the couple’s desire for a grand, lodge-like feel. Despite its size, the home feels anything but sprawling, thanks to a clever design that terraces the home up and into its hillside perch, much like a life-size Rubik’s cube in motion. Four different floors, each a half level up from the other, balance the need for connection and privacy in the bustling house. 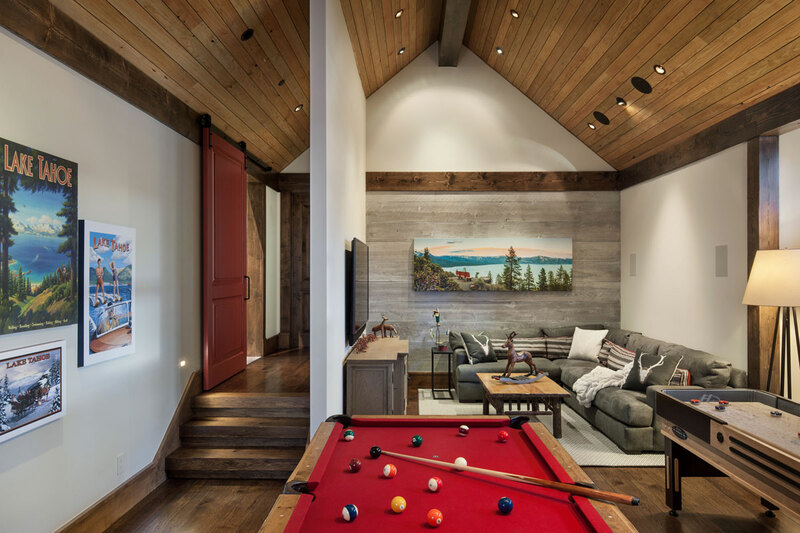 An elevator gives easy access to the garage level, the main floor (which also includes the master suite and a home office), the guest floor with its four en suite bedrooms, and the home’s most playful level made up of a recreation room and bunk room. 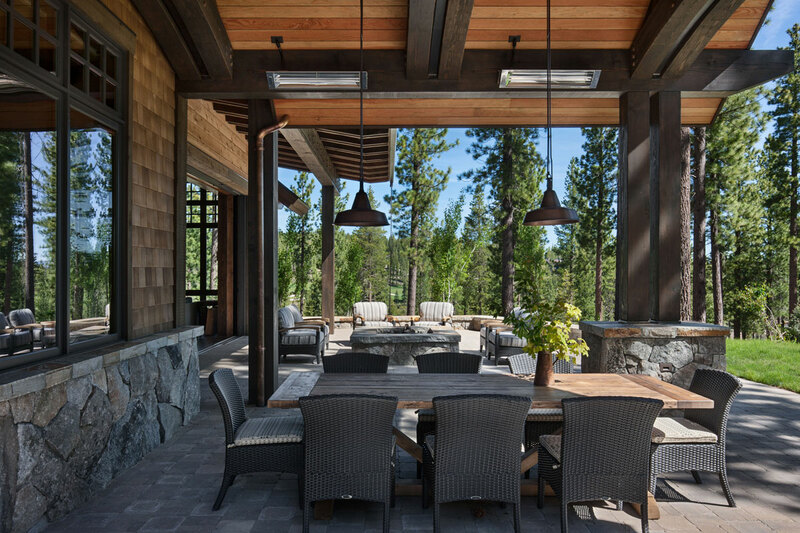 Case in point is the home’s lodge-like gathering space, where the line between indoors and out disappears ... literally. 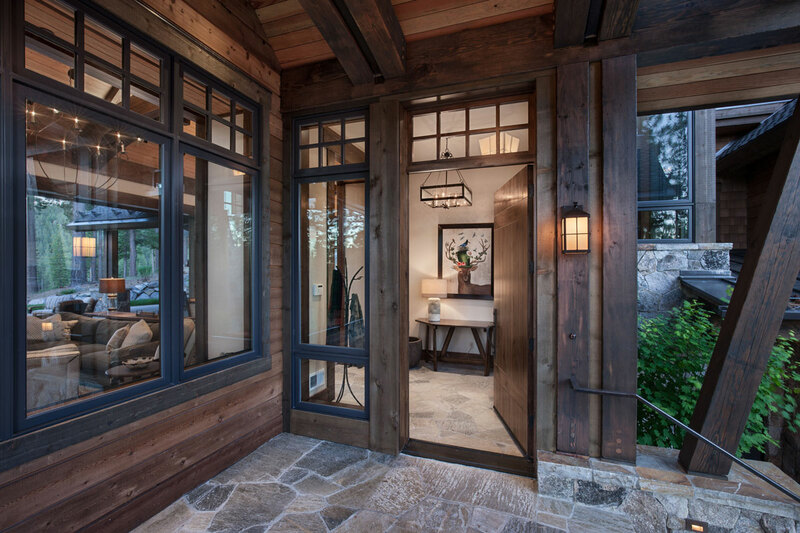 The four-panel glass door collapses into the wall, creating a seamless flow between the great room and an outdoor space made for hosting, complete with a fire pit, hot tub and bocce ball court. 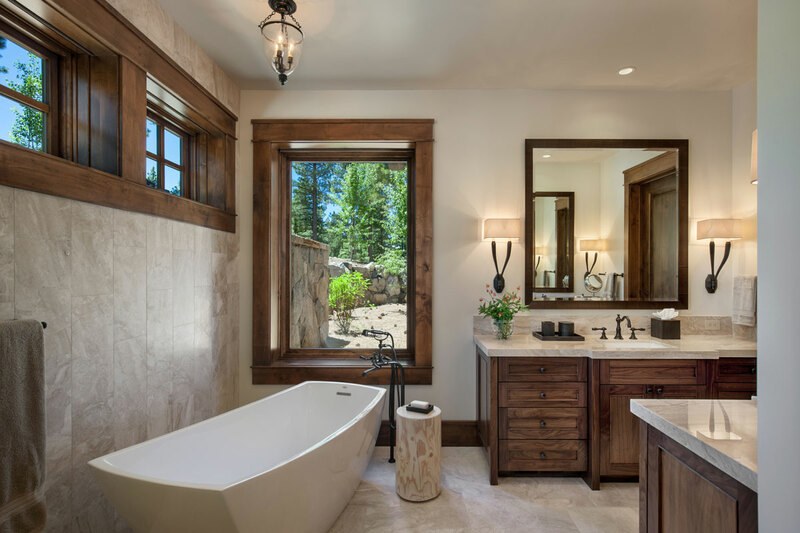 And, when the Welkers and their guests are ready to venture beyond the property, there’s an activity for everyone in the private community, from a golf course, fishing lake and aerial adventure park with zip line to a full-service spa, miles of hiking trails and direct access to the area’s top ski resort. But even after spending the day surrounded by the region’s stunning natural beauty and vibrant activities, heading back inside doesn’t feel so very different. 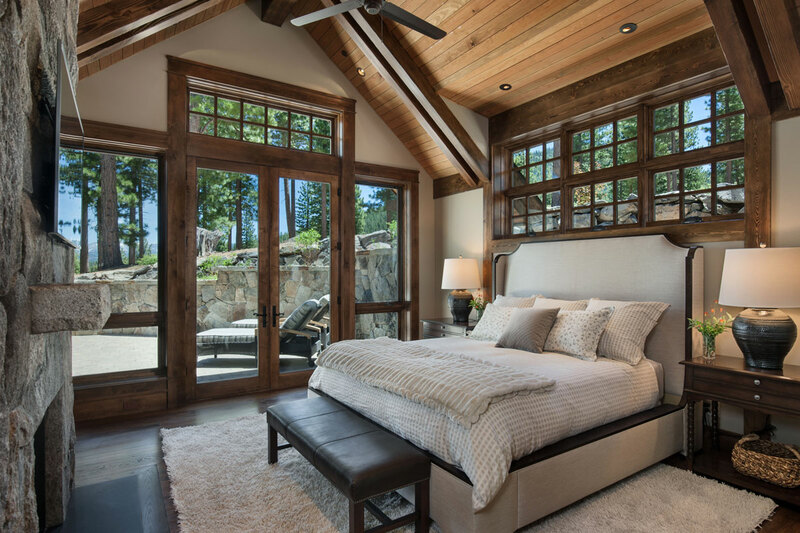 Each space is perfectly attuned to its surroundings — owing as much to an abundance of glass as to the thoughtful use of materials. 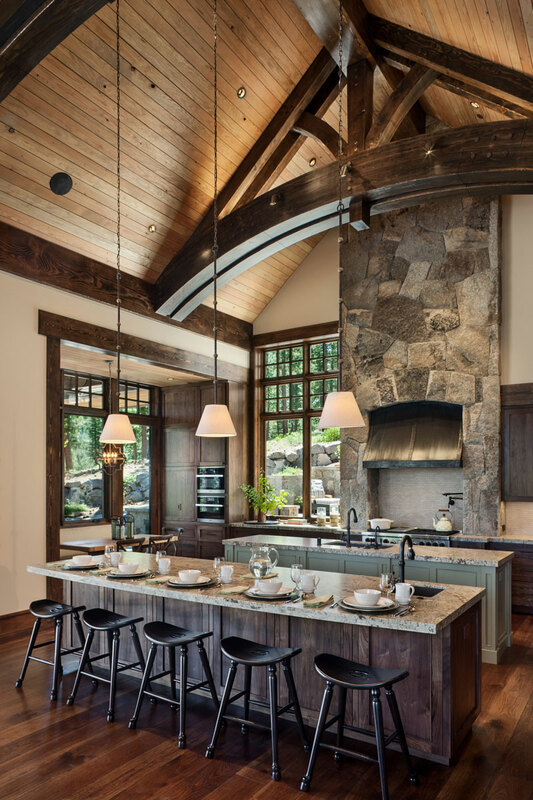 Heavy Douglas fir timbers, stained the same color inside and out, create a traditional, mountain aesthetic, while two towering granite hearths flank the main living area, anchoring the space and furthering the rustic-lodge vibe. 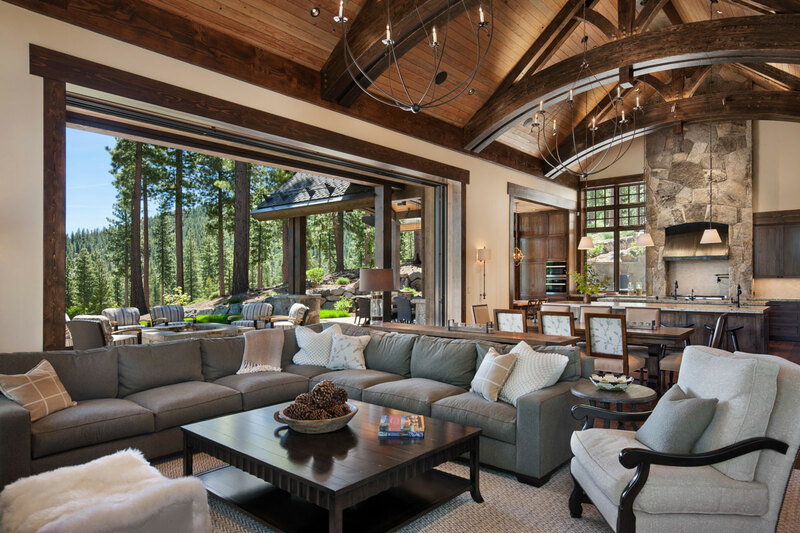 “They wanted the home to feel grounded and very chunky,” explains Bryan Bertsch, project manager at Jim Morrison Construction, the home’s builder. 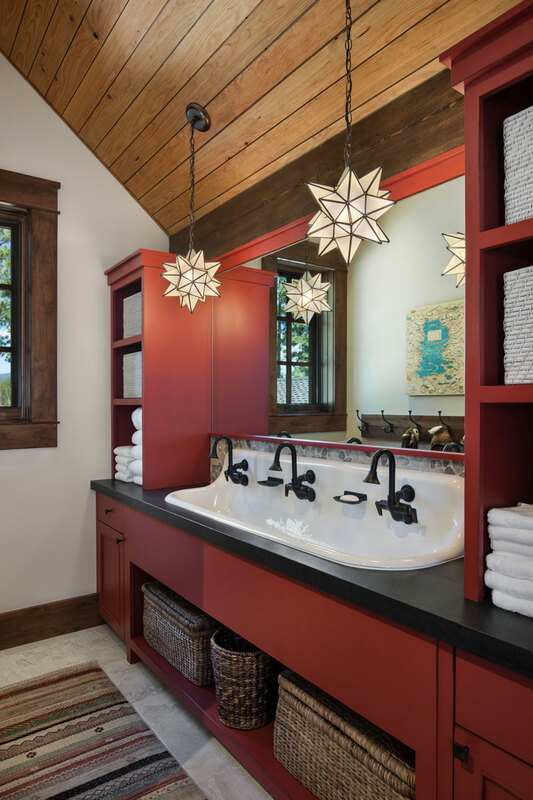 Against this background of natural materials, each space is infused with organic colors and textures that you can feel with your eyes almost as readily as your hands. “This was a home to be enjoyed, so our goal was to keep things classic and cozy but also durable,” explains designer Sarah Jones. 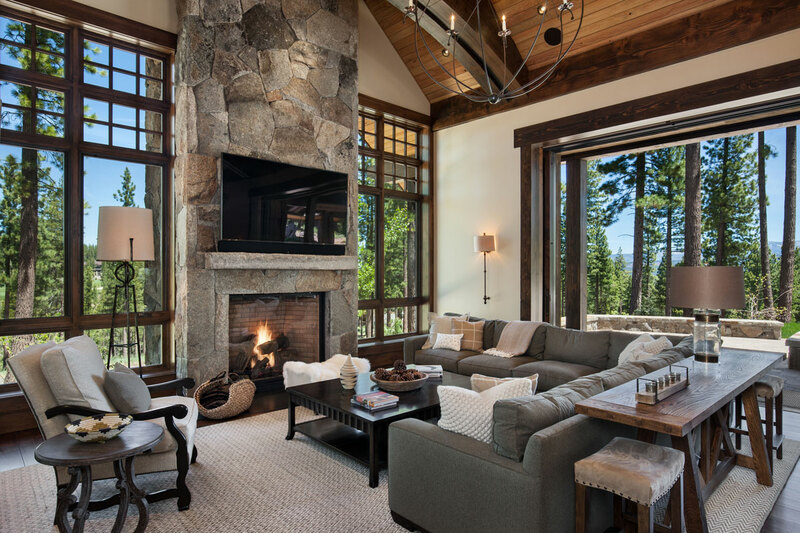 “It’s our updated take on a timber lodge.” The timeless, Ralph-Lauren-meets-mountain-chalet look, is showcased nowhere better than in the great room, a visual and tactical paradise, where a sheepskin-covered ottoman and hand worn tables flank a light-forest-green sectional topped with a collection of nubby pillows. The Welkers agree that whether they’re cozying up with family for a long-standing tradition of Christmas in the mountains or chatting casually with the strangers-turned-friends they’re hosting for a few days, the house is best enjoyed with others.